In April 2014, the SCA launched their official publication, We Build. This magazine is a great step forward in reaching our members and expanding our communications in the province. 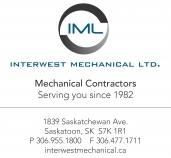 It showcases our association and our industry, and brings together a diversity of views and opinions into one voice, the voice of Saskatchewan's construction industry. This magazine is sent to all 1,300 members of the SCA, Federal Members of Parliament, provincial representatives including MLAs, Minister and Deputy Ministers, City Managers, Mayors and councillors. It is also sent to companies that do business with construction companies, including the hospitality industry. The next issue of We Build will be published in Summer 2017. If you are interested in advertising in WeBuild, please contact Dayna Oulion at Del Communications at 1-866-424-6398, or dayna@delcommunications.com. The ratecard is available here. If you would like to be added to our mailing list, please contact sca@scaonline.ca. Copyright 2019, Saskatchewan Construction Association Inc. All rights reserved.